I thought life will be bit easier as soon as summer vacation of my kid will begin, but no luck as such ! With scorching heat outside and not many amusements inside home, my kid is as bored as myself. For how much time could one remain occupied with indoor games and Idiot box ? So now though I am not worried about what to pack for his lunch and drop and pick up from his school, I am constantly pondering over how to keep him fruitfully occupied. Any ideas(except sending him for any summer classes)?? Mix Gram flour, salt, khuskhus, green chillies, Meethi Soda, Oil, turmeric powder (optional), cumin powder (again optional) and adding very little quantity of water at a time, knead a hard but manageable dough.Make a roll of it. Now grease little, a flat surface like a back of Thali or clean kitchen platform or chakla (rolling board) and place the roll and tap a little to flatten the roll. Meanwhile keep some water for boiling in a pan and when it reaches boiling point, immerse the tikkis in water. When the tomatoes are properly cooked, add the fried tikkis and mix carefully so as not to crumble these. Add few spoons of water if required and let it further cook on low flame, for about 8-10 minutes, till tikkis absorb the flavor of onion and spices. I tried Anni ki sabzii but unfortunately besan tikkis were bit hard.. I used good amount of oil too in it. Please suggest ASAP. I have tried this recipe Which is in Test Very very Good. I tried this out….. It turned out to be too yummy…. 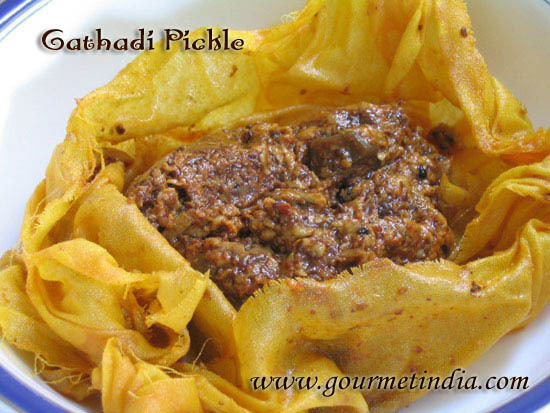 Thanks Di for wonderful receipe…. Very instructive and easy to understand even for someone who has never made this dish before. 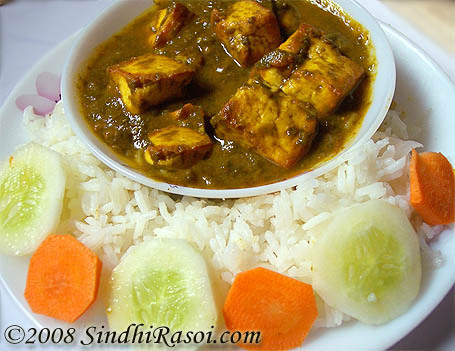 Typical sindhi recipe, brings back the good old days. One of my favorites. sounds a lot like ghatte ki sabji! Looks lovely! Looks so pretty. I love anything with besan and we make something along this line called ‘Guli’ (made of besan) and then a coconut based. This look beautiful. Thank you for introducing me to this dish. This is totally new to me and mouthwatering! Alka, I just want to eat everything I ever see on your blog, and those besan tikkis are absolutely speaking to me right now! How delicious! besan ka bhaji is simply delicious! Fantastic post, Alka! Never heard of this dish and i am so eager to try it out. Dish is sooo new and yum! bhaji looks yummy… I am waiting for the warm weather here…. had enough of winter…. although spring is here, it is still very cold.. obviously not as cold as it was few weeks ago, but it is still cold…. i make white onions for my kids who do not eat spices (since living abroad). i cut the onions first into half stomach side n then again half. so they become quarters. separate them. wash them. put them in a glass jar/bottle. put vinegar, little red food colour, salt n red chilli powder if you want. mix it well n keep it for a day or day. taste it. if need be add little more vinegar. it just tastes yummy to the kids. Your recipes are so new !! This one looks very complicated to me, but the way you have done it shows the great grasp you have over it:D garam garam roti se maaza aa jayega! there are some cool sites on the web.. free learning games.. math, geography where they get to click on all continents/countries/state & learn. My dd1 loves playing that & learns at the same time.. if u need some links email, me i’ll send them to u. As for keeping your little son occupied well, you can play scrabble, to increase his word power and if he finds it boring, arrange a costume party for his friends (iparty.com has some party themes you can look at to hold an interesting but not too expensive a party). For grown ups I would suggest learn a language. You may want to buy a cd for teaching Sindhi (that is if he doesn’t know how to read and write it already, its a good way to keep in touch with your roots :)). 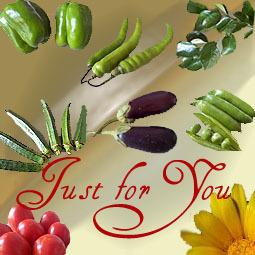 take care and thanks for such a wonderful effort to promote Sindhi food. The original “Aani” recipe calls for eggs of “Pallo” fish, which was easily available in Sindh and my Papa once said that these fish roe were sold very cheap or even free like we get curry leaves? Later in India some fish sellers use to throw out these eggs but soon realized that Sindhis make “Aani” from it. Now its difficult to get these eggs unless u have a friend in fish seller? Real recipe is same as above. Just substitute Khus khus with fish eggs. Just like chicken tikka has its veg. cousin “Paneer tikka”, same way Aani uses khus khus instead of fish eggs. Its risky too, to use fish eggs as it takes over 14 hours or more to reach markets? Safely use khus khus or only fresh fish eggs. Served the same with jowar ki rotiyaan well another secret recipe of how dadi used to make it……. 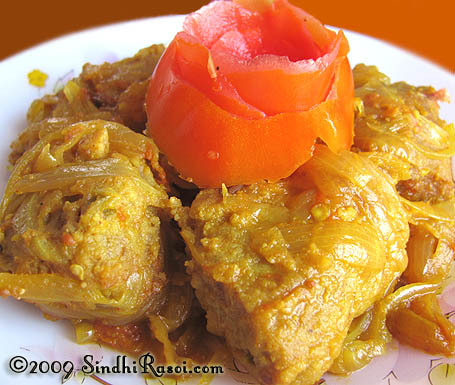 “Aani” in Sindhi means eggs of fish (pallo) and normally non-Sindhis do not eat these eggs. In those days fish seller would give it away free but today they know that Sindhis make a recipe out of this and they charge pretty good money (its about rs. 100 per kg.). Where there are no Sindhis these bunch of eggs are thrown away.These eggs are not available throughout the year but only in season. Each egg looks 100%like poppy seed. 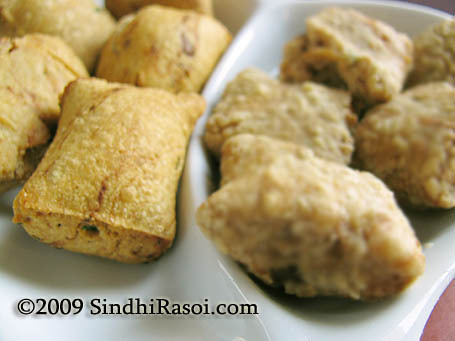 Originally in Sindh, Sindhis made the above recipe with fish eggs and not poppy seeds (khus khus). Hence the name “aani ji tikki”. Now vegetarians came to know that this recipe tastes good and they found that khus khus looks like aani and they substituted “aani” with khus khus. Frankly speaking veg aani tastes better than fish aani, unless you get very good eggs. The curry looks so yummy and healthy..This is new to me..Bookmarked. i boil the tikkis. they r more lighter to eat then the fried ones. i make them round. i boil water enought to place all the tikkis. i put them one by one in the boiling water. they take between 10-15 minutes to boil. i then remove them from the water. i use the water in the gravy later on, as hardly any water is left. they taste yummy n light too. have been following your blog quite a while and have found it immensely useful. The koki’s and methi rotis turned out very good. Have the same question as shivali, what if we just fry the tikis instead of boiling them first? Does it take away from the flavour? Dish looks tasty and healthy too. I made a Gatte ki curry once, similar to this, love it. You could provide him Origami or chemistry set etc, something interesting to do manually. Boys are not usually interested in reading much. It is of great taste and only variation is when compare to same made with Auor Rass(Mustard gravy) rather than onions bu being honest it is really nice will never forget when made by Amma and eaten by me a bellyful,Alka ,Bless you for rekindling the memories through your efforts of cullinary skills. Wow…this looks so good! I have nver heard of it but it looks fantastic! And the steps make it look so easy. thanks for such a Wonderful dish . But can We make the gravy more in liquid form and can We omit the boiling part and fry instead ? 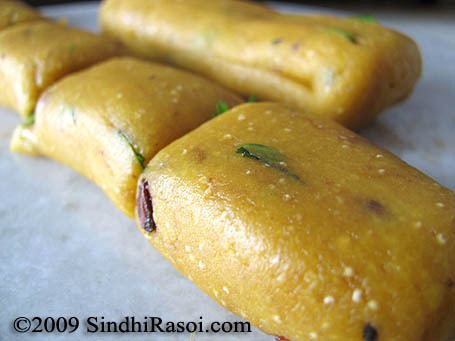 Besan based tikkis sounds new….looks delicious!